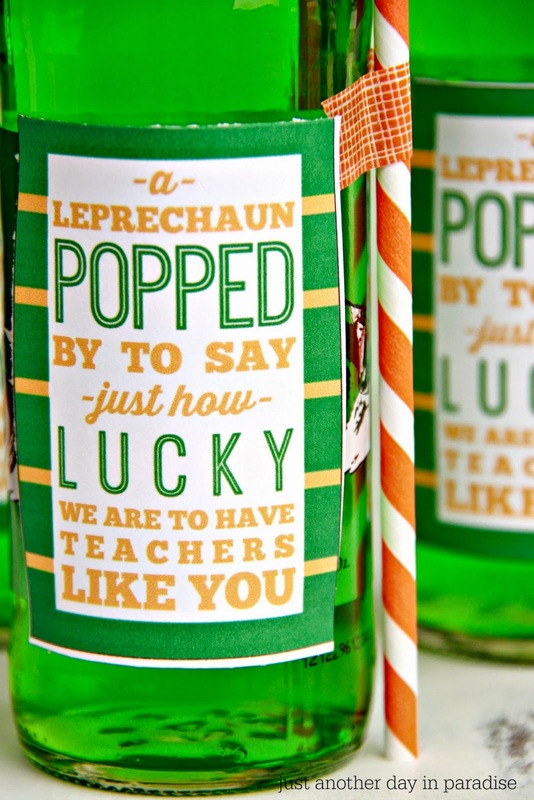 Sorry I am sharing this St. Patrick's Day Teacher Appreciation Gift so late. I had the best of intentions to get it to you guys yesterday. That would at least give you half a day to whip something together if you wanted to. Alas, it obviously didn't happen. My computer has seen better days people. I normally try and work on The Hub's computer after he gets home, but he has been needing it for work and that means I am back to Old Bessie here. After my card reader (yes that is how old my computer is) led me on a merry chase, I finally was able to get to my photos and edit them. 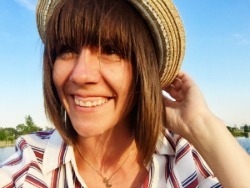 I debated still sharing these, but they are so gosh dang cute I just had to. Plus, thanks to Pinterest holiday ideas can live on past their actual holiday and be saved for the next year. 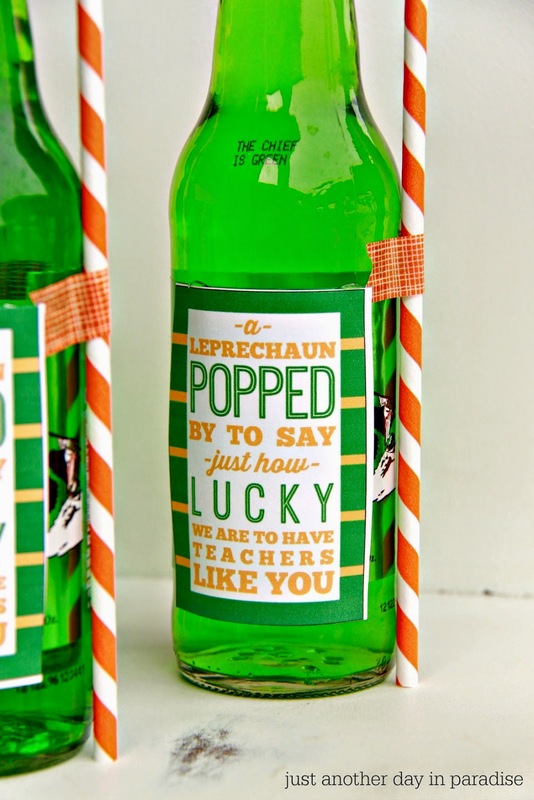 So here is my St. Patrick's Day Teacher Appreciation Gift. I went to a local store and cleared them out of all their green soda. The cashier was all, "Wow! You must really like this soda." He seemed only a little less confused when I told him I was in PTO and it was for our teachers. Haha! 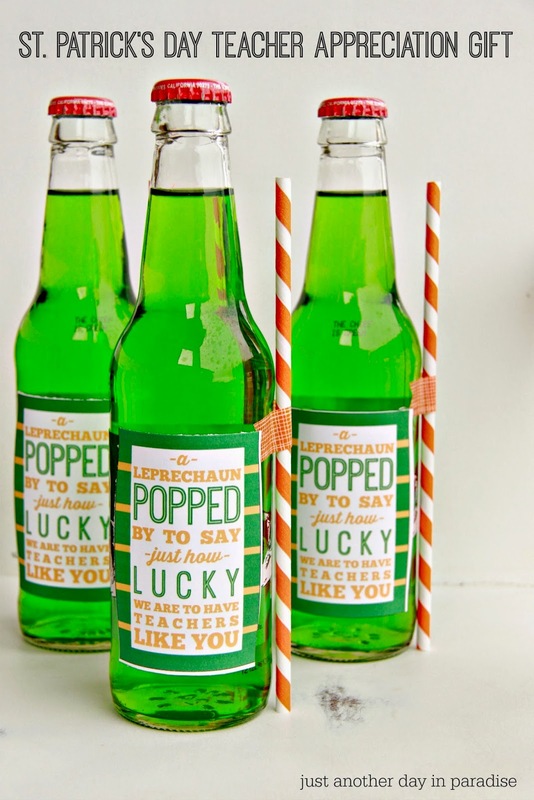 I created this tag in PicMonkey and used the "POPPED" as a play on words of the soda. You all know how I like a good play on words! So I had to use it all. I hot glued the St. Patrick's Day label (CLICK HERE TO DOWNLOAD) to the bottle. Then I taped a paper straw to the side. Easy Peasy. You could tape these to green cans or bottles of soda if you can't find green colored soda. 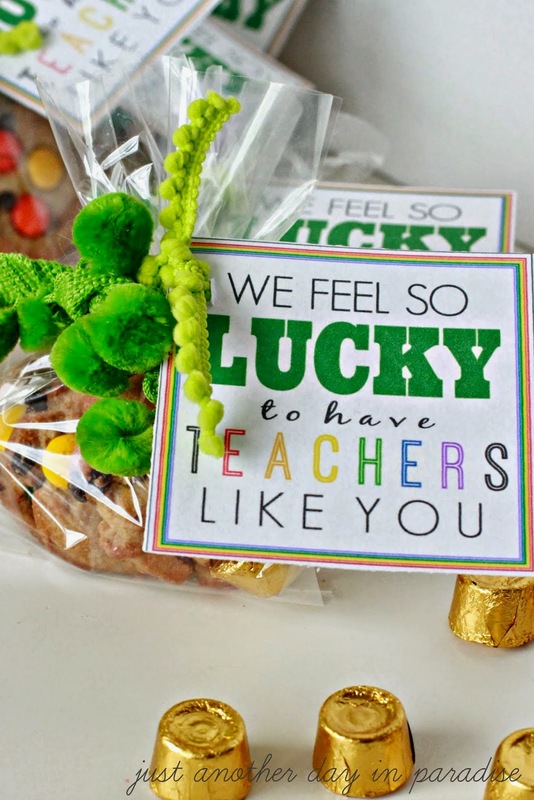 Any way you do it, it is a fun way to tell a teacher you feel lucky to have them.